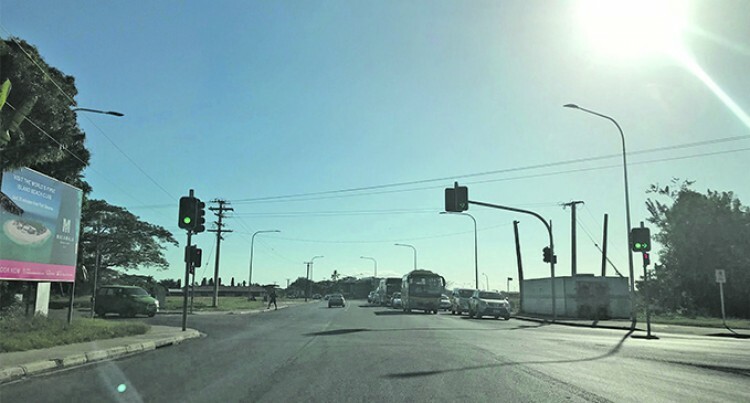 The Fiji Roads Authority yesterday confirmed that they have completed their investigation on the traffic lights at the Denarau road intersection. This is after it was alleged that the flashing amber caused a collision of two vehicles, a 12 wheeler truck and land-cruiser at the intersection last Thursday. Fiji Roads Authority Acting General Manager Electrical Musheer Khan said their team in Nadi have done their investigation and confirm that the traffic signal is operating as normal. He added this has been continuously monitored over the weekend as well. Mr Khan said, “There have been no conflicts registered or observed in any of the phases. The log files from our controller indicate a number of power failures in this area on 5th July and the claim that the traffic signal was on a flashing Amber is related to this. “Whenever the traffic signal will lose power from the Energy Fiji Limited (EFL) grid it shuts down and when power is restored a safety mechanism ensures that all the “Amber” lanterns in the traffic signal goes into a flashing mode for a few seconds and then all the “red” lanterns are turned “on” and thereafter the normal phase cycles begin. “There is a high possibility that both the vehicles involved in the accident approached the Traffic signal during the flashing amber and failed to stop resulting in an accident. On the same note, the FRA wishes to draw the attention of motorists to the importance of slowing down and being prepared to stop while approaching a controlled intersection that is indicating a “Flashing Amber”.